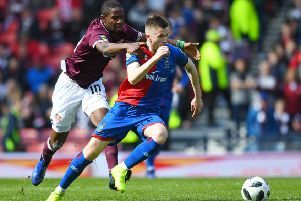 Bobby Burns has emerged as Hearts’ first choice at left-back. Joel Sked looks at a player who will play a key role for the rest of the campaign. Opportunity and luck are intertwined. The former often presents itself on the back of the latter. Famous American personality Oprah Winfrey says luck is the meeting of preparation and opportunity. For Hearts teenager Bobby Burns he has been granted such opportunity. To not only gain valuable first team football at Tynecastle but also the chance to become a club legend at such a young age. His fortune has come on the back of the misfortune of others, as is so often the way in football. 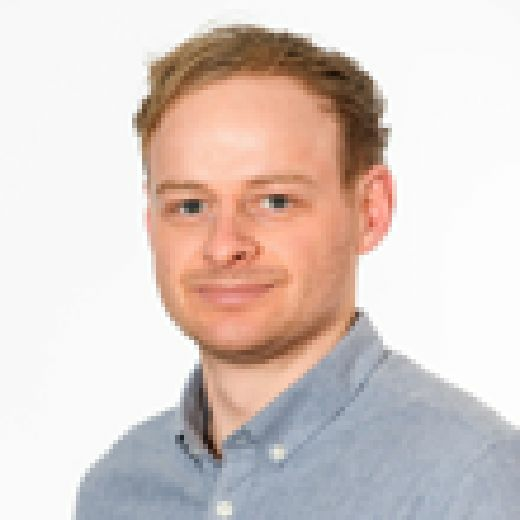 Serious injuries to Demetri Mitchell and Ben Garuccio has meant Craig Levein being without his first and second choice left-backs since the end of March. He has been forced to tweak his side, something he has had to become familiar with such has been the nature of Hearts’ injury record. In the win over Aberdeen and loss to Rangers the Tynecastle boss opted for a back three using Jake Mulraney and Jamie Brandon as wing-backs respectively. However, for the last two games, Burns has been fielded on the left of a back four. Not just any fixtures, but an Edinburgh derby and Scottish Cup semi-final. Two significant matches. It is not a situation Levein would have liked to have been in, fielding a 19-year-old in a position he has experience in but not one he has played regularly. This time last year Burns was still at school, head boy at St Malachy’s College in Northern Ireland. Despite playing with Glenavon at the time, Burns left with two A* and an A in his A-levels. The move to Hearts and the transition to full-time football in the summer did not dissuade Burns from further education, the player has undertaken a part-time Open University degree in maths and business management. Not only does it highlight the mature head on the player’s shoulders but also the personal transformation across the last 12 months. A lot has happened. The 19-year-old showed promise on his debut in the Betfred Cup against Cove Rangers in a midfield role before playing the full game against Raith Rovers a few days later. It suggested that despite his lack of experience of full-time football he would be in around the first-team squad for the season. Circumstances change quickly in football. 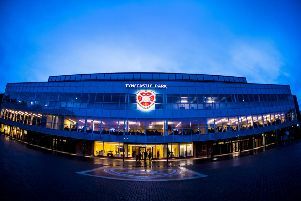 Hearts were well stocked at left-back and in the centre of midfield, allowing Burns to join Livingston on loan a few days prior to the close of the summer transfer window. It wasn’t an overly fruitful loan spell with just three starts and eight appearances overall. Yet, three of those did come against the Old Firm. Recalled in January, there was the feeling that he would be used more often at Tynecastle especially with inconsistencies at left-back but that wasn’t to be the case, only a watching brief from the stands. That was until an appearance from the bench against Rangers which was enough to see him installed for the visit of Hibs. Up against Daryl Horgan, Burns had a difficult afternoon. Over the piece he did not have a particularly bad game but it was Horgan who scored both goals, the Irishman proving too quick. He was a lot more comfortable up against Tom Walsh as Hearts progressed to the Scottish Cup final with a 3-0 win at Hampden Park. It means Burns is now in pole position to take a starting berth at the showdown against Celtic on Saturday, 25 May. Between now and then he has five games in which he can get further up to speed with the demands of the left-back position in Scotland, while building a relationship with Christophe Berra. There should be little doubt about Burns’ technical qualities. He takes care of the ball well, passes firmly and accurately and can be a threat from wide. Yet, an area of concern regards the player’s pace and acceleration, especially as his captain also has similar issues. It makes the next five games vital. Burns will come up against Daniel Candeias and James Tavernier when Rangers come to Tynecastle on Saturday. He will have another meeting with Horgan, this time at Easter Road, while Aberdeen have the strong running of Connor McLennan or the jinking qualities of Niall McGinn to contend with. It is preparation for facing the best winger in the country. It is highly unlikely Burns and James Forrest will come up against each other in the last league game of the season, but they will in the cup final. Forrest is rapid, over short and long distances. He is a danger inside and outside. His mere presence has full-backs questioning what is about to happen next. The biggest quality in combating the Scotland international is focus. A drop in concentration for a split second will see him take advantage. With help from team-mates, more game time, with that concentration, with a clear head and determination, Burns can reach that level to keep Forrest quiet when it matters in May. If he succeeds he could have played a pivotal role in helping Hearts lift the Scottish Cup and stop the treble treble. Doing so will complete a whirlwind 12 months for the player and see him earn his place in Heart of Midlothian history.